The problem with the problem - Patent my French! Over the years, the Boards of appeal of the EPO have developed a number of rules which are now set in stone. The so-called “gold standard“, used for appraising whether any extension of subject-matter has occurred and whether priority is valid, is a famous one. An even more famous one is the “problem and solution approach” for appraising inventive step. enhancing the predictability of the inventive step assessment, and thus improving legal certainty for all stakeholders, patent applicants and third parties alike. Make no mistake: I love the problem and solution approach. Especially when I compare it with the Russian roulette of the obviousness rejections that you tend to randomly get at the USPTO. However, one downside of a clear reasoning framework is that everyone learns how to make the best of it. Clever patent drafting and sophisticated argumentation can thus sometimes make up for the relatively low inventive merit of some inventions. Correlatively, a number of patent professionals have noted that, for better or worse, the inventive step threshold et the EPO is generally rather low. 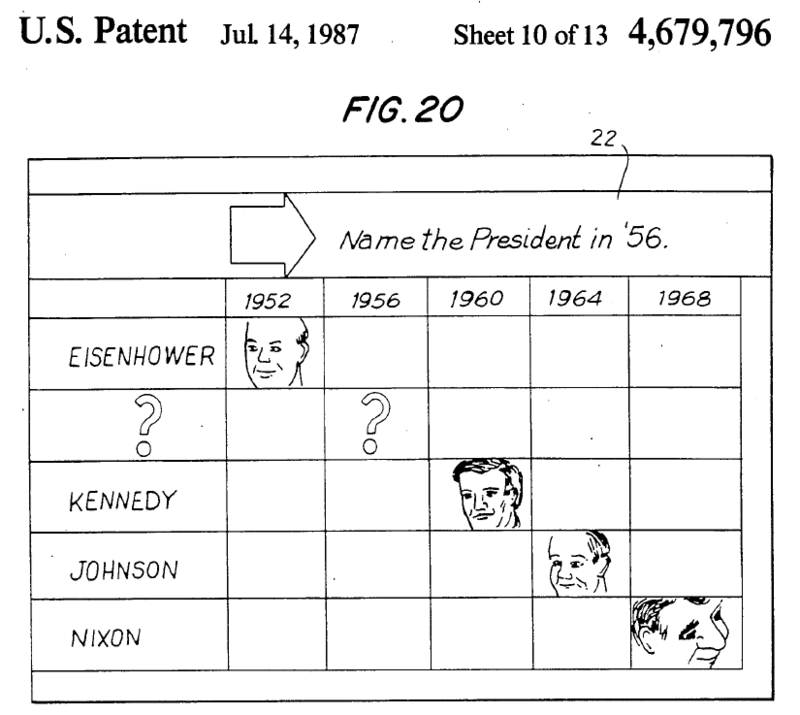 In fact, more often than not, whether an application or patent passes the article 56 test mostly depends on the selection of the closest prior art, and on what kind of technical problem you can possibly come up with – and these considerations may sometimes be remote from technical reality. In such a context, I think it is a good thing when the Boards of appeal remind us that the problem and solution approach should be followed with some flexibility, in order to avoid any artificial outcome which would be unfair to third parties. The problem and solution game. I will take two examples of how things can get somewhat skewed in the problem and solution approach; and how some Board decisions can nevertheless offer a way to achieve a right balance. The first example is taken from T 2123/14, already discussed on Laurent’s blog. The initial step of the approach is the selection of the closest prior art. As summarized in section G-VII, 5.1 of the Guidelines, “in selecting the closest prior art, the first consideration is that it should be directed to a similar purpose or effect as the invention or at least belong to the same or a closely related technical field as the claimed invention“. It is therefore a classical strategy to insert a number of goals or purposes in the description of the application, and then argue that any prior art reference which does not address one of these goals or purposes is unsuitable for being selected as the closest prior art. This is especially helpful when it is indeed difficult to establish the existence of an inventive step starting from a reference sought to be discarded. Now, such a strategy may be curtailed by following the reasoning used in T 2123/14. As a disclaimer, please note that I have formed no personal opinion as to whether the claims at stake were actually inventive or not, I will just focus on the principles established by the Board, which seem quite relevant. In this case, the examining division had refused the application, relating to a cosmetic composition for the hair, for lack of inventive step based on D3 as the closest prior art. But the appellant argued that the closest prior art was not D3 but rather D8, so that inventive step should be assessed only based on D8 as a starting point. D8 indeed mentioned as a technical purpose, beside the improvement of untangling, volume, lightness, softness, flexibility and tidiness, also the improvement of smoothing while avoiding a greasy feel […], unlike D3 which did not mention the problem of the hair’s greasy feel or heaviness, and which merely focused on a conditioning effect, on making hair soft and flexible, improving volume, brightness and smoothness of wet and dry hair […]. (Reasons, 1.2.1, translated from the French language). […] The claimed subject-matter must involve an inventive step relative to each prior art document. Nothing prevents the relevance relative to D3 from being examined first. If, on the face of it, the skilled person can choose between several prior art documents as reasonable starting points, inventive step can thus be effectively acknowledged only after applying the problem and solution approach to each of the options (T967/97, T21/08). If one of the options reveals obviousness, then there is no inventive step. The problem and solution approach may therefore need to be repeated for each of these options (T710/97). (Reasons, 1.2.2.1). This is a helpful reminder. A relevant document cannot be swept under the rug by pointing to an allegedly better document. All “reasonable” starting points may have to be investigated. Of course what is “reasonable” and what is not is a matter of case by case analysis. This does however not mean that, when an invention purports to solve a list of specific problems, said closest prior art must necessarily specifically disclose or mention all of these specific problems or more particularly only one of these problems taken in isolation. This is in particular the case for the objective technical problem, which is only established in the second step of the problem and solution approach […]. This is also the case for a technical problem which is solved in an implicit and inherent manner by the closest prior art, although this is not expressly stated in said prior art. Thus, simply inserting a purpose or even more so a list/series of specific purposes in the description does not allow the applicant to oppose any objection of lack of inventive step raised in view of a document which does not mention one of the abovementioned specific purposes, if this document was concerned with a similar use. (Reasons 1.2.2.3). In other terms, in order to qualify as a closest prior art (possibly among others), a reference needs to relate to a similar use. But it is not necessary for the document to explicitly address all the purposes that the drafter included in the description of the application or patent. To me, this is a significant clarification, as the strategy consisting in inflating the number of purposes set out in the description in order to discard possible closest prior arts has certainly been quite effective for a number of applicants / patent proprietors to date. […] Even if D3 does not explicitly mention the purposes of the claimed subject-matter, it cannot be denied that both documents D3 and D8 show compositions designed for the same goal and belong to the exact same technical field as the present application, namely conditioning shampoos, and therefore have a similar use and the same actions and effects on the hair, in particular in terms of smoothing. It can thus be legitimately expected that the type of cosmetic composition disclosed in D3 and D8 generally involves the same technical problems, or technical problems necessarily deriving from the similar use. Besides, even if the properties relating to the absence of a greasy feel or heavy hair are not explicitly recited in D3, it remains that example 5 of D3 does contain said non-silicone fatty components responsible for a possible greasy feel and possible heavy hair. In the absence of any specific indication or remark in example 5 of D3 regarding these properties, it is immediately apparent and obvious for the skilled person that the properties and abilities of the compositions disclosed in D3 are prima facie satisfactory, including regarding a greasy feel or heavy hair. (Reasons 1.2.2.3). To summarize this latter point: even if a very specific technical problem is not expressly addressed in a reference, the skilled person can sometimes derive from the context that this technical problem is indeed taken into account in the document. Here is now a second example of a possible flaw in the problem and solution approach favoring the applicant / patentee, and a possible remedy taught in T 2456/13 (decision initially reported on Peter de Lange’s blog). The issue here is the second step of the problem and solution approach, namely the formulation of the objective technical problem. Sometimes, several technical effects relative to the closest prior art can be possibly contemplated. Depending on which technical effect(s) is/are retained, the solution may or may not be obvious for the skilled person. The usual strategy for the applicant / patentee is to focus on one or more very specific technical effects, seldom addressed in the art, so as to more easily arrive at a finding of non-obviousness. But in some instances, this may be considered as artificial (and, if I may add, ex post) if, already based on another, less sophisticated technical effect, it would be obvious for the skilled person to arrive at the claimed invention. […] If, having regard to the state of the art, it would already have been obvious for a skilled person to arrive at something falling within the terms of a claim, because an advantageous effect could be expected to result from the combination of the teachings of the prior art documents, such claim lacked inventive step, irrespective of the circumstance that an extra effect (possibly unforeseen) was obtained. […] An unexpected bonus effect does not confer inventiveness on an obvious solution. However, my subjective impression is that the bonus effect objection is seldom effective in practice. One difficulty is how to distinguish a technical effect which is merely a bonus effect from one which absolutely must be taken into account in the formulation of the objective technical problem. In some decisions, reference was made to “one-way street” situations, in which there is a lack of alternatives for the skilled person, as opposed to situations wherein “the use of means leading to some expected improvements might well be patentable in relying on an additional effect, provided this involved a choice from a multiplicity of possibilities” (see the above section of the Case law book). Clearly, this is a restrictive approach, as I do not think that there are generally many one-way streets in technology. In T 2456/13, the patent proprietor argued that a secondary reference D3 would not be taken into account by the skilled person as it did not address a certain technical effect, namely the reduction in the tendency to caking. D3 discloses a generic process for the preparation of sodium percarbonate particles which are coated by spraying on a solution of sodium sulfate and sodium carbonate. […] According to D3, the coating improves storage stability […]. In view of the partial task of improving storage stability, the skilled person would, in the opinion of the board, refer to the relevant document D3, even if no improvement in the tendency to caking is explicitly shown. The person skilled in the art is in fact taught by D3 that, with a coating in the composition range between 82:18 and 69:31 parts by weight of sodium sulfate to sodium carbonate, particularly stable percarbonate particles can be obtained. […] He would try to adjust the advantageous ratio indicated in D3 and thus reach the claimed article. A (slight) improvement in the tendency to caking is necessarily also obtained. In the opinion of the board, it constitutes an additional or bonus effect, which cannot justify an inventive step. The board takes into account that the improvement in the tendency to caking is only slight […] and possibly for this reason not mentioned in D3. (Reasons 4.9, translated from the German language). This decision thus provides a possible criterion for establishing that a technical effect is merely a bonus effect, namely the relative low magnitude of the effect. Of course, we should bear in mind that this is only one factor among others that may have to be taken into account. All in all, these two decisions may helpfully contribute to containing some of the possible abuses of the problem and solution approach leading to artificial non-obviousness findings. T 2123/14, Board 3.3.07, October 27, 2016, L’Oréal. T 2456/13, Board 3.3.05, March 7, 2017, Evonik Treibacher v. Kemira Oyj. The problem with the bonus effect is that many Examiners apply it only in case of “one-way street”, which, as you mention, is quite an unusual situation. In their opinion, as soon as the skilled person has to choose among several (known) alternatives, inventive step must be recognized. That way, you can get separate patents on the different existing alternatives, each time arguing that the alternative was not obvious since it was not the only one.